It is prime strawberry season here and I have strawberries on the brain. I got out this tablecloth my mom got me. 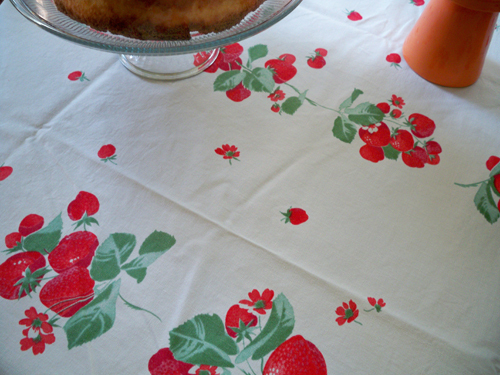 Vintage strawberry tablecloth! It is in mint condition, so I get a little nervous eating on it. Placemats are key! Just a nerd fact: That's a Willendure tablecloth, a brand collectors love and will pay $$$ for! 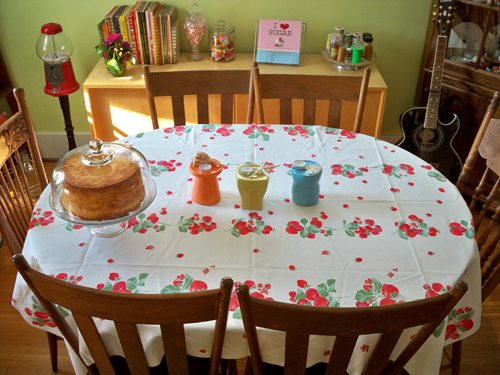 The colors stay so lovely over time-- they really Will Endure...but use the placemats!